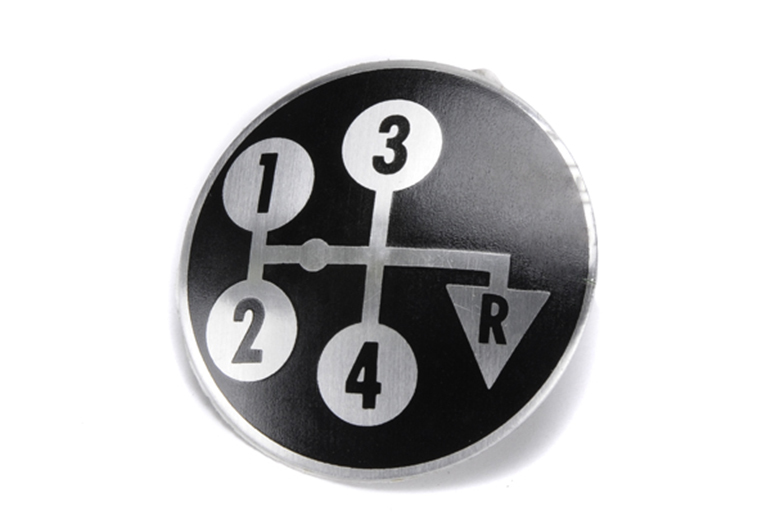 This is a brand new shift knob decal for all Scout II, pickup, and Travelall that had 4-speed transmissions. Please specify whether you have Reverse in the up or down position. These are made of the same aluminum foil with black painted overlay, and have adhesive backing to attach to the knob. These make your truck look that much newer! We also have these for 3-speed and 5-speed transmissions.